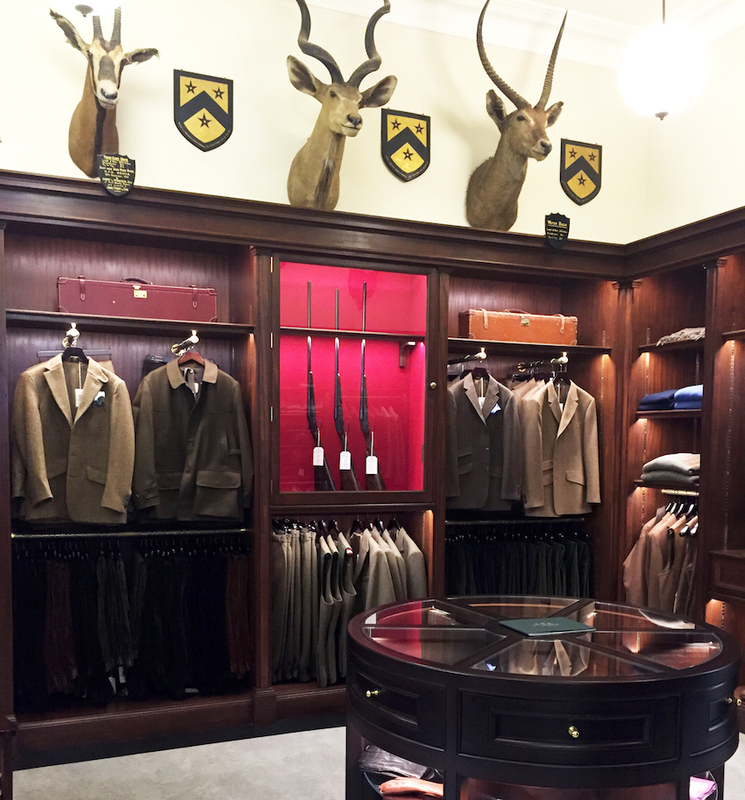 Leather, Guns and Tweed: A ‘New’ Era for Purdey at Audley House. | A Continuous Lean. 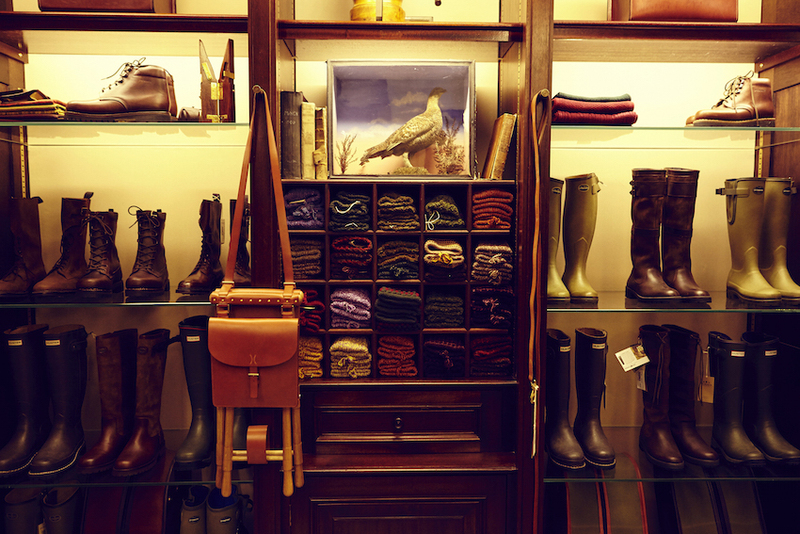 Leather, Guns and Tweed: A ‘New’ Era for Purdey at Audley House. 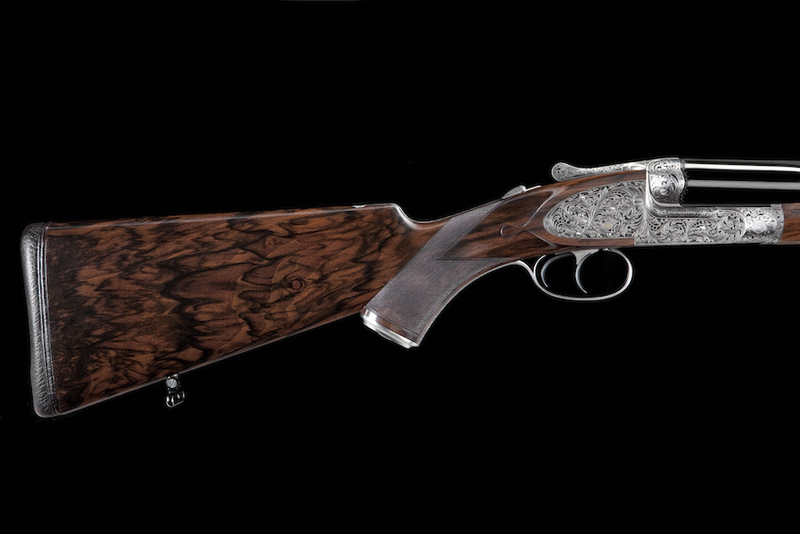 For over 200 years James Purdey & Sons of London has been crafting the world’s finest bespoke shotguns and rifles. 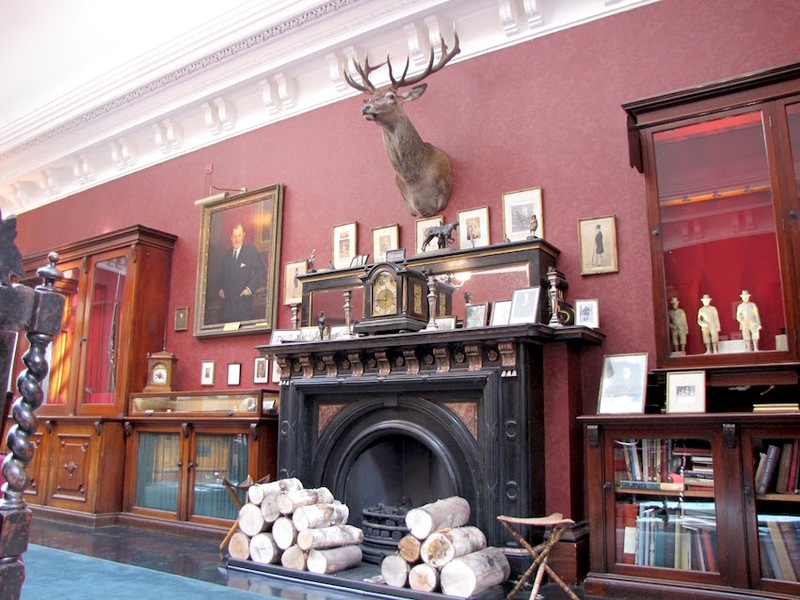 The firm has enjoyed royal patronage since 1838, when Queen Victoria placed her first order, for a pair of pistols. King Edward VII granted the first official Royal Warrant to the founder’s son, James Purdey the Younger, in 1868, a practice continued by each successive English royal including Prince Charles and the present Queen. In 1882 Purdey established its workshop and showroom at Audley House in Mayfair, which the sporting periodical Land and Water called a â€œpalace amongst gun manufactories.â€ A business so steeped in tradition has had little need to modernize over the years – the firm’s gunmakers still craft their own tools by hand at the beginning of their five-year apprenticeships before using them to fashion the world’s finest firearms – but nearly 135 years later Audley House has been subtly â€œrefittedâ€, ushering in something of a new era for Purdey. One of Purdey’s first concessions to modern times was the introduction of a range of high quality shooting clothing, in 1973 – the first London gunmaker to do so. The updates to Audley House are mainly aimed at devoting more real estate to this burgeoning part of the business, allowing for a dedicated clothing and accessories section on the shop floor, with the main gun room now located exclusively in the building’s historic Long Room, which once featured a â€œwellâ€ for looking down into the firm’s workshop below. 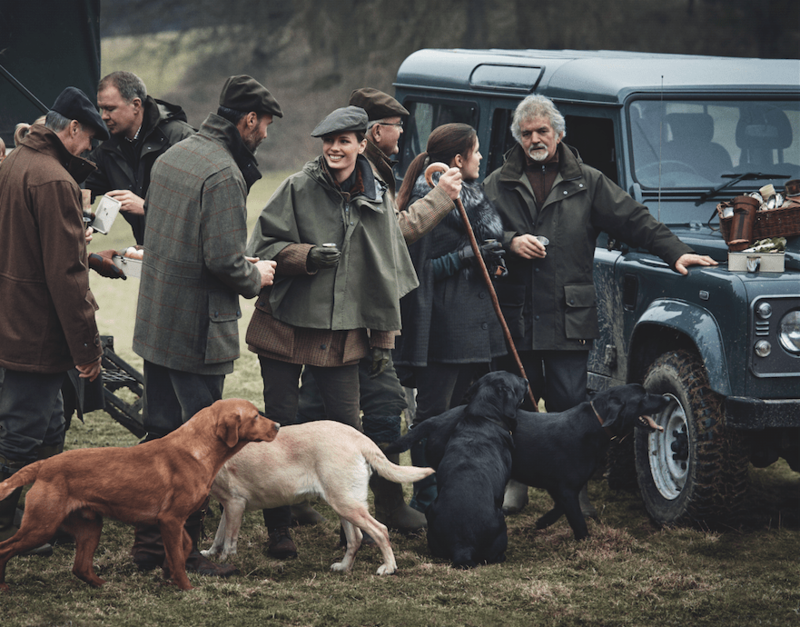 Whilst saving up for a London-made Purdey 12-bore – or perhaps in lieu of owning an actual gun – enthusiasts can acquire thick tweed coats and other items redolent of grouse shooting weekends at English country estates, conjuring images of muddy Land Rovers, muddier gun dogs and lots of smoky single malt. 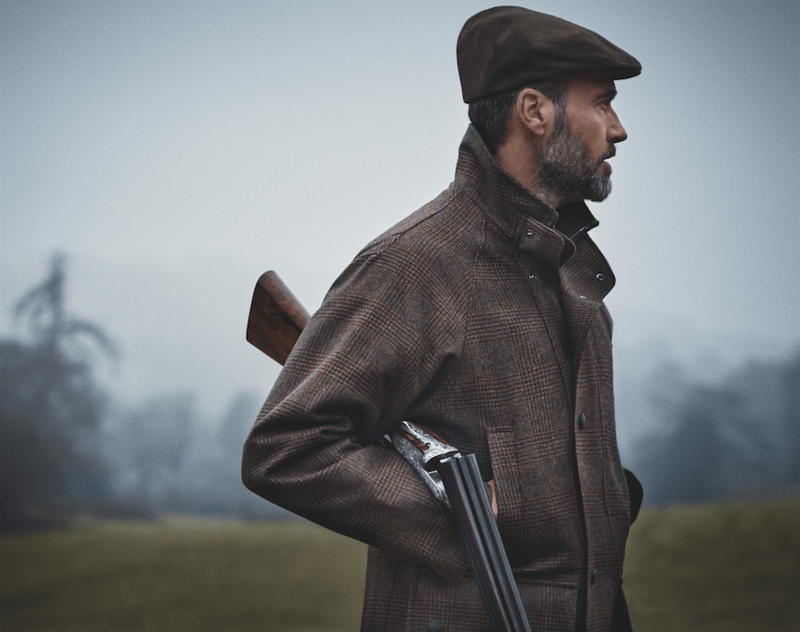 Purdey’s new range of clothing for autumn includes variations on classic tweed patterns custom milled in the Scottish borders, new windproof knitwear made in England, and the first-time offering of suede and leather pieces. 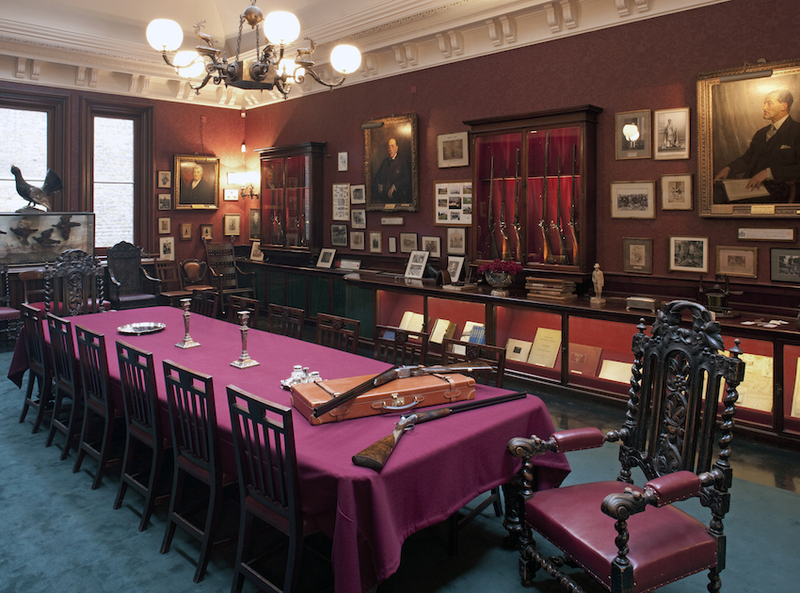 In addition to new guns and rifles, Purdey also offers second-hand â€œheritageâ€ models for sale in the Long Room at Audley House. The ultimate achievement for true sportsmen however is having a pair of bespoke Purdey side by side guns crafted for you, a process that can take up to two years. It begins with a visit to the West London Shooting Ground, where Purdey has been fitting its customers since the 1930s. Various measurements are taken while the buyer uses a â€œtry-gunâ€ with an articulated and fully adjustable stock. Back at Audley House you then select a piece of high-grade walnut wood which will become your gun’s stock. Barrels and other hardware are then machined by hand, the whole is assembled and finally the gun is adorned with the engraving of your choice. Finally the finished product is presented in a fitted saddle leather case. Prices start at Â£78,000 to Â£150,000 – or about $120,000 to $230,000 at the current rate of exchange – but it’s safe to say a pair of Purdeys is a sound investment for any serious sportsman. Not a gun person,but those are exquisite. “World’s finest bespoke shotguns and rifles” seems a bit much. Other companies that create outstanding guns might quibble with the unattributed absoluteness of your statement. Great piece. Purdey’s and antique dreiling and veirlings are of particular fascination to me, even though my firearms are much more pedestrian. Would love to visit their shop someday. As one who was bitten by the English gun bug a few years ago I can appreciate just how sublime Purdey’s guns are. There are a few top-tier London makers, but Purdey and Boss are heads and shoulders above them all. This feels backward to me. I am either shooting or fly-fishing most weekends and my clothes follow the needs of those activities. They keep you warm and dry and, after a few years, they get broken in and mold to your body. You acquire them over time and learn what works, what wears well, what was pockets in the right places, etc. What I am seeing in this piece is people wearing outfits. I guess what I want to say is that these sports have value in themselves and are more than an opportunity to wear clothes. It’s about practice and proficiency and being outdoors. If you can’t double-haul or shoot sustained lead, bespoke clothing will just make you look like more of a fool. Yes, the finest shotguns in the world, particularly today. With what Chanel did to Holland after the purchase and the lowering of standards at Boss, the loss of PV Nelson and H & W, Purdey rules. Sorry, but none of the finest Italian gun makers measure up.